Do you need help? Please call us at (270) 885-7442. Rembrandt Charms are collectibles that capture a memory, an event, a special occasion or an emotion. Each charm comes with a lifetime warranty, reflecting the craftsmanship, dedication and commitment of the entire Rembrandt Charms staff. This is what can be expected from a company that values quality as much as you do. 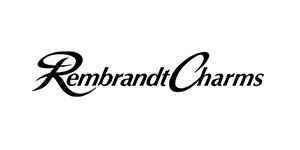 Rembrandt Charms has been designing and manufacturing charms and charm bracelets for more than 45 years. There are many great reasons to do business with Humes Jewelers. Please email us for information about our special offers and unique customer service benefits. We are more than happy to help you find the perfect piece within our extensive quality selections to celebrate all your special occasions, holidays and milestones. Subscribe for information on new products, exciting offers and updates from our store. "Whether you're buying or selling, I want to be your jeweler."